There’s no shortage of good cafés in Hong Kong, but we’re always excited when another one opens. 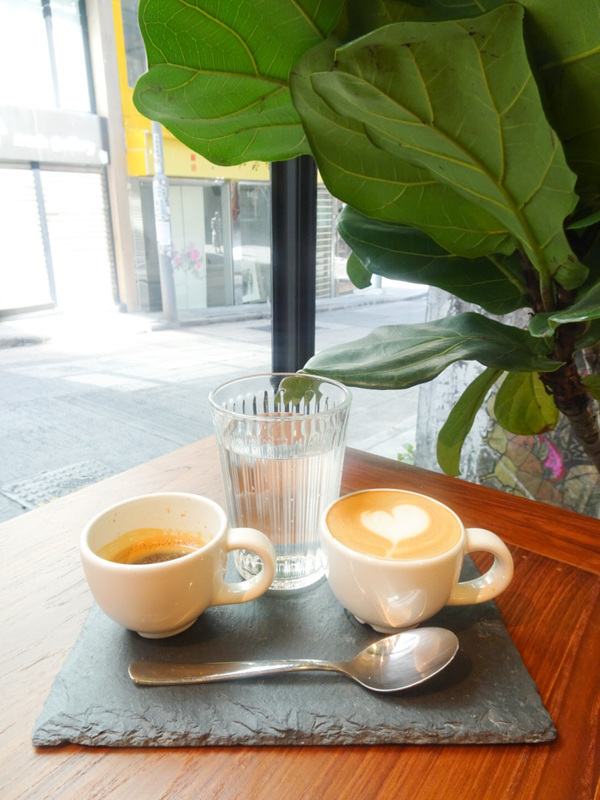 The newest one to hit our fair city is Urban Coffee Roaster’s six-month pop-up on Pound Lane in Sheung Wan. C-dou, an arts and culture rental space, has been transformed into the sort of leafy green, warm wood, sunlit spot that’s perfect for lazy weekends. UCR already has two locations in Kowloon (Prince Edward and TST), but this is its first, albeit temporary, location on the Island. At this cosy café, the best seats are by the front windows. They run from floor to ceiling, providing lots of natural light and opportunities to people-watch; there’s always something interesting going on in Sheung Wan, isn’t there? There really isn’t a bad seat in the house. Whether you’re by the window, at the communal table or hanging at a private round table, you’ll still experience the same brightly lit, greenery-filled, chilled-out environment. 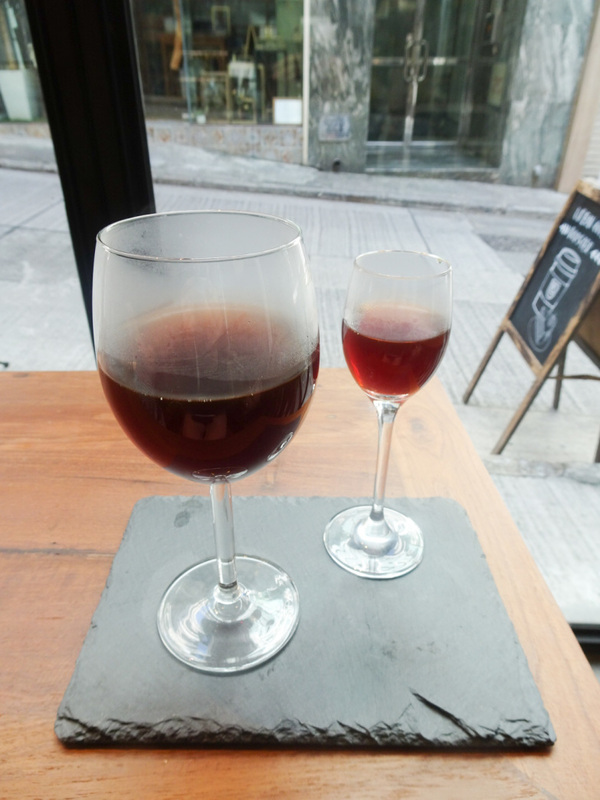 UCR was started by a pair of roommates at HKU who bonded over their shared love of coffee. They turned their passion into a business, first focusing on being a coffee bean supplier. After achieving success, they started taking their coffee around the city with pop-up coffee carts before launching their cafés. At the new Pound Lane location, the menu features over a dozen beans that are exclusive to UCR including Oma Block Gesha 1931 from Gesha Village in Ethiopia. Each batch of coffee goes through a bespoke preparation process that’s based on the origin of the beans. Naturally, their coffee menu is double the size of their food menu. The house blend is from the Guji Kercha region of Ethiopia and is served black or white. They’re also well known for their sweet potato latte for those wanting something caffeine free. In addition to the house blend, coffee connoisseurs can choose roasts from Colombia, Panama, Brazil, Costa Rica, Taiwan, Guatemala, Kenya... the list goes on. Each can be served filtered or in a method known as 1+1. The filtered option ($48–88) comes in two different-sized glasses, allowing guests to experience the coffee flavours in two different ways. The larger glass makes the aromas easier to catch (the rim covers your nose as you sip), whereas the small glass allows the flavours to become more concentrated. The 1+1 option ($68–108) comes as an espresso and a piccolo latte. As a person who prefers white coffee, the espresso was a bit too intense for me, but the piccolo latte was lush and full-bodied without being bitter. The brunch options are inspired by the colourful, interesting dishes served by our friends Down Under. 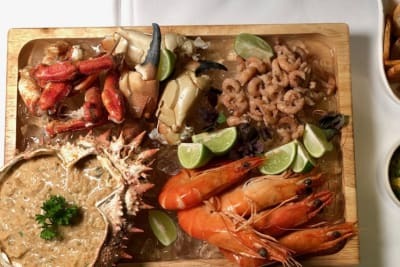 Australia is believed to be the country that invented avocado toast, so of course that‘s on the menu, along with salads, a number of egg dishes, pastas and two desserts. 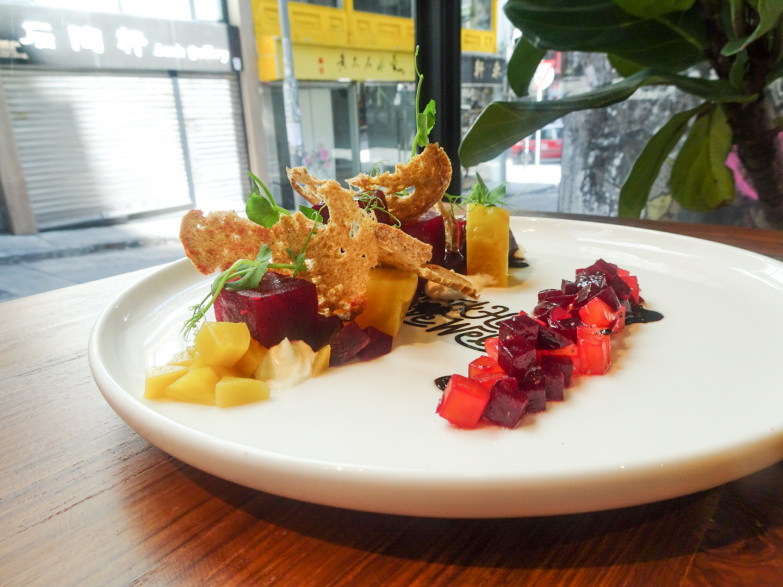 We tried the beetroot salad ($88) with goat’s cheese mousse and walnut crumble. 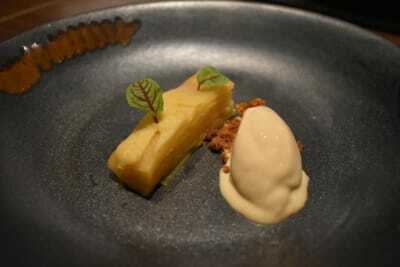 This was a beautiful, fresh-tasting dish, accented with simple olive oil and black pepper. The beetroot managed to be slightly sweet and not earthy. While different colours of beetroot were served, we were a bit disappointed that they all tasted similar. It would have been nice if some of the pieces were spiced or pickled. The goat’s cheese was flavourful without being too sharp. The bacon and halloumi eggs Benny ($88) was a much heartier dish, perfect for those (like us) who enjoy heavy breakfasts. 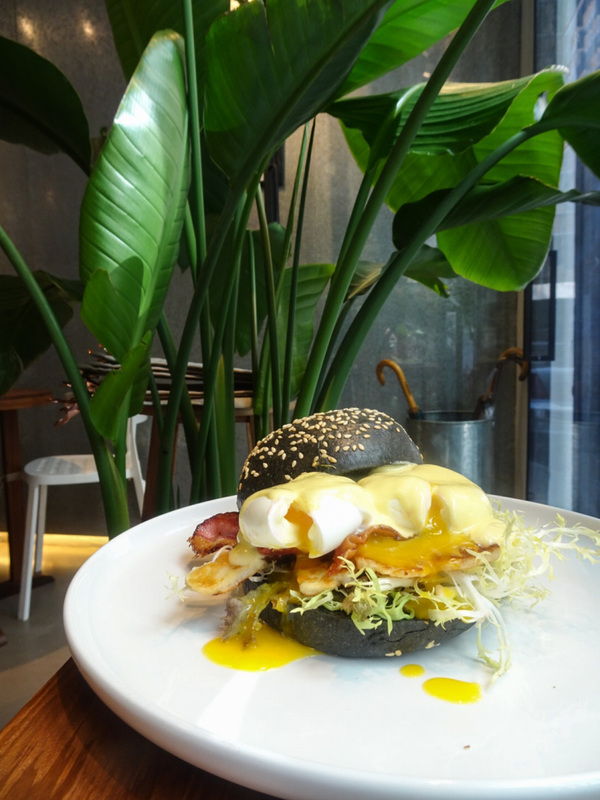 We liked the sweetness of the bun against the saltiness of the bacon and cheese, with the soft-boiled egg and hollandaise sauce providing that must-have butteriness. While we enjoyed this calorie bomb, some may find it on the heavy side. 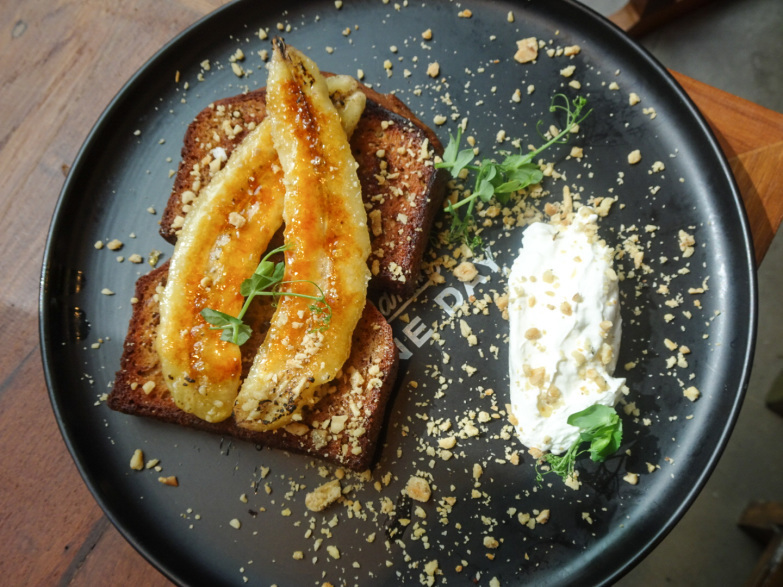 To end our meal, we tried the banana toast with caramelised banana and sour cream ($78). This was a basic, simple dish that tasted exactly as it sounds. A dollop of sour cream provided the necessary tartness to balance the sweetness of the other elements, while the nuts were a nice, crunchy touch. Check out Urban Coffee Roaster on Pound Lane while you can. 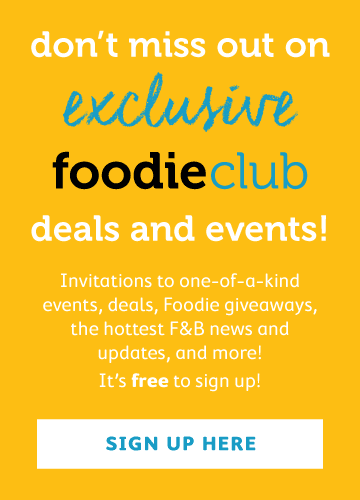 If you love coffee, brunch – or both! – there’s lots to try. The café opens early at 8am, which is perfect for early birds and those who love hanging out at cafés while the rest of the city is slowly waking up.